Hi! I bougth a Tx3 Max and loved the Alice UX. But i don’t know how to arrange or delete shortcuts. 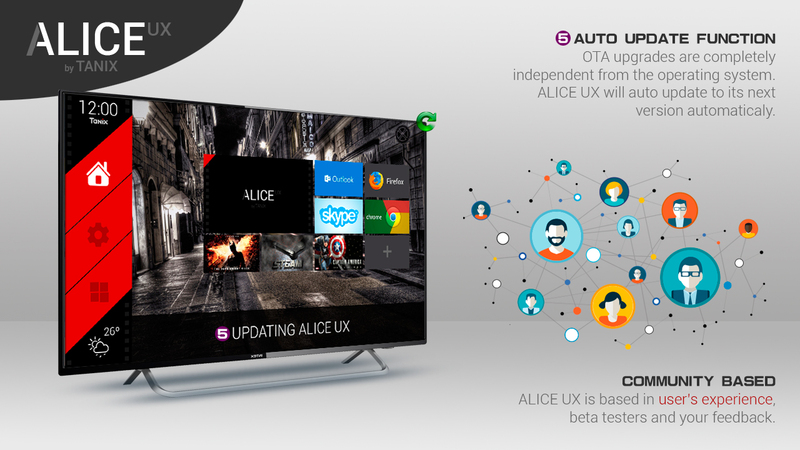 Dou you have a Alice UX users manual or fórum? Just press “Menu” button, then you can edit the banners. 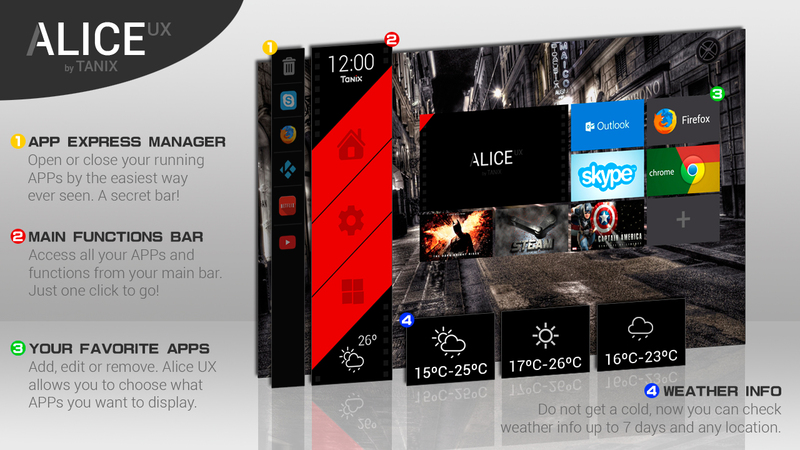 For now it is just a beautiful launcher with some special function. Soon it is going to be a deep part of the system. UX means “User’s Experience”, then, it will improve the navigation and fix some old problems with functions like manage running APPs, access to notifications and some other things. If you want to try LibreELEC, we have a DUAL BOOT EDITION of our firmware. It is running on both TX3 Max and TX3 Mini. Soon… probably at the end of this week. When will this box be available?